I am the Founder and Chairman of the humanitarian organization Cardiac Eye International Foundation (CEIF; www.cardiaceye.com). I am a cardiothoracic surgeon by profession and also a clinician scientist with basic, translational and clinical research, from the bench to the bedside. My work in basic and clinical work has ended up over 200 peer-reviewed publications in scientific journals of repute.I bring expertise and skill in general adult cardiac surgery, thoracic surgery, complex congenital / paediatric cardiac surgery, surgery for aortic diseases, CCRT placements, MICS aortic and mitral valve, off-pump CABGs, mechanical circulatory support (LVADs, RVADs, ECMO) heart and lung transplant. adult cardiac surgery, thoracic surgery, complex congenital / paediatric cardiac surgery, surgery for aortic diseases, CCRT placements, MICS aortic and mitral valve, off-pump CABGs, mechanical circulatory support (LVADs, RVADs, ECMO) heart and lung transplant. President Dr. Hanne Helleshoej has many years of experience within the Health Care field and has held numerous important senior positions eg. as President at the school for dental assistants and dental care at Copenhagen University, President at University College South, President at the Froebelseminariet, President at the Nursing Professional Diploma Studies at the National Nursing School and President at the Nursing School in Silkeborg. In addition, Dr. Hanne Helleshoej attends a number of boards and committees and has also been a member of the Danish government’s health education council under the Ministry of Education. Hanne Helleshøj is a trained nurse and also holds a Ph.D. degree in education and psychology. Igor Klepikov was born and studied in the USSR.Pediatric surgeon of the highest qualification in Russia and Israel with experience of over 40 years,MD,professor.Currently retired,lives with his family in the United States. The paradox of the scientific career of highly qualified pediatric surgeon of Russia and Israel lies in the fact that the most impressive result have been achieved in the non-surgical section of the medicine.Work in the Siberian clinic of Pediatric Surgery Included the duty treatment of children with the most agressive forms of acute pneumonia in the early stage of the disease.A large concentration of such patients (up to 10 or more at the same time), the rapid development of purulent complications and high mortality (up to 10% or more) were forced to look for ways to solve this problem.Raising doubts about the high virulence of pathogens as the sole cause of complications and using classical(unclaimed clinicians) pathophysiological studies, the original concept of the pathogenesis of acute pneumonia and their complications was created.New scientific understanding of the dynamics of the inflammatory process in the lung under the influence of different treatments had achieved impressive results and declare a guaranteed prevention of purulent complications. Time has shown that the results obtained by the author remain relevant and can help in solving this problem. Matthew Brice is a Senior Coach and International Speaker with Studer Group Australasia. His stated career objective has been to work with people in crisis, and in the last 25 years he has done exactly that. He has worked as a nurse at Shock Trauma in Baltimore and in Emergency Departments in the UK and Australia. He has run Humanitarian Assistance Missions in Southern Sudan. As a trainer, he has worked for the Australian Federal Police and the Australian Defence Force. Matthew uses his experiences to bring new perspectives on how individuals, teams and organizations can consistently operate at the highest level. Ms. Ng Wai Khuan is currently working as Acting Quality Director/Prevention & Control of Infection Manager at Mafraq Hospital in Abu Dhabi, United Arab Emirates and she has served in health care for more than 20 years. Ms. Ng Wai Khuan started the practice of infection prevention and control in 2005 and quality & patient safety in 2010. She is a Certified in Infection Control (CIC) from American Certification Board of Infection Control and Epidemiology and also a Certified Professional in Healthcare Quality (CPHQ) from National Association for Healthcare Quality (NAHQ). Ms. Ng Wai Khuan was awarded the 'Medal Champion' of 2013 SEHA Best Employee in Specialized Field. Dr. Patel co-founded MyDoc and is responsible for business strategy and execution. He is also currently a Managing Director of Saena Partners, a Singapore-based investment company. Previously, he was a Senior Vice President at Chandler Corporation, a multi-billion dollar investment fund based in Singapore. In this role, he founded and led the investment team responsible for investing in healthcare businesses in South and Southeast Asia. His responsibilities included leading the onthe- ground incubation and early growth of a regional healthcare chain, as well as serving on the boards of several early-stage healthcare and education businesses throughout the region. Dr Snehal Patel, MD, ESQ, will be able to share an in-depth look into the Asian industry, as well as the potential for growth in this market. His presentation and talk will focus on the Asian healthcare industry and how digital health is paving the way for a better and efficient industry that is patient centric, data-driven and simple. Using technology and digital platforms, healthcare is moving into a new age of easier access, improving quality and transparency for both the patient and payor side. Mustafa Z. Younis is an internationally recognized scholar and was a member of the Executive Committee of the International Society for Research of Healthcare Financial Management. Dr. Younis has authored and published over 200 articles, abstracts and presentations in refereed journals and meetings, and has presented at national and international conferences. Dr. Younis has administrative experience as Senior Advisor for the President at Zirve University, Turkey and as Chair of the Department of Health Policy and Management at Florida International University (FL, USA) where he led the accreditation efforts for the Healthcare Management Program. Dr. Younis has a history of playing visible roles on the editorial boards of journals as Chief Editor, Guest Editor and Editorial board member of leading journals such as IJMR, JHCF, Inquiry, JHHSA, JPBAFM. his latest research and work in progress as well as cross-industry trends and strategy implications. He is a graduate of University College Dublin and was trained in general and vascular surgery in Dublin Republic of Ireland, Edinburgh United Kingdom as well as Sydney Australia. He has considerable expertise in the field of healthcare informatics and has published extensively in this field. A In addition to being a practicing vascular surgeon he has a passion for quality improvement and healthcare management he has studied extensively in the fields of sustainability, healthcare reform and assessment of quality of healthcare services. He done research on Qualitative research and its uses in health care (2008),Sultan Qaboos University Medical Journal. 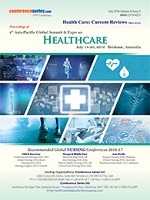 Nursing in Saudi Arabia: Evolution or Revolution (2009), Unpublished Doctoral Thesis, Monash University, Melbourne, Australia.Obeid Al Rashoud ,Nursing Director. I’m a medical graduate from India and have been trained subsequently in United Kingdom and Australia. I have worked in various tertiary institutions across United kingdom and Australia. I`m a medical oncologist with special interest in thoracic malignancies, sarcoma ,geriatric oncology and early phase trials. I have been trained in India, United kingdom and Australia. I have a special interest in healthcare development especially focus in regional and remote areas. My sub-speciality interest is development of telemedicine and development of medical infrastructure to assist with this . I`m aware of the challenges facing the healthcare. He done Ph.D.on Mobile Cloud Healthcare, V.I.T University, India. M.Tech.on Computer Science and Engineering, V.I.T University. B.E.on Electrical and Electronics Engineering, Madras University. Dr. Richard Dickey, is a graduate of Case Western Reserve University Medical School his Ph.D. is in Pharmacology. He is a diplomate of the American College of Obstetrics and Gynecology, and Clinical Professor of Obstetrics and Gynecology at Louisiana State University New Orleans and Tulane University School of Medicine. He is the author of many articles and book chapters on use of contraception and treatment of infertility. He has served on the US Food and Drug Administration Medical Device Committee and as Consultant to the US Agency for International Development Population Program in Jamicia, the Philippines and Pakistan. His 2010 book 'Manual of Intrauterine Insemination and Ovulation Induction' with coauthor Dr. Peter Brinsden, Cambridge Press 2010 is translated into Chinese. His book "Managment of Contraceptive Pill Patients' is in it's 15th edition. Principal interests of Dr. Dickey are Safe use of contraception and advanced reproductive technology in Family Planning Programs'. Sandeep Sherlekar, M.D., was born and raised in Hong Kong and did his Medical Education at Delhi University in New Delhi, India. He was chosen among a few elite groups of applicants to do residency in Anesthesia at the highly acclaimed “All India Institute of Medical Sciences.” After moving to the United States, he re-certified in Anesthesiology Residency at Hahnemann University Hospital in Philadelphia. He was chosen to serve as Chief Resident and helped establish the Pain Clinic during his tenure. Dr. Sherlekar went on to do his specialty fellowship in Interventional Pain Management at Harvard Medical School at Brigham and Women’s Hospital in Boston. Dr. Sherlekar began his esteemed career as a Pain Management Specialist and Anesthesiologist in Maryland in 1996. He founded Capital Area Pain Management Associates and was the Chairman of Anesthesiology for 10 years at Civista Medical Center. To keep updated with current trends in Anesthesiology Dr. Sherlekar continues to work part-time at Johns Hopkins. He is Board Certified in Pain Management and actively participates in International Society of Minimally Invasive Spinal Surgery, The American Society of Interventional Pain Physicians, American Pain Society, and North American Spine Society. Dr. Sherlekar has been working for many years with patients with low back, neck pain and spinal pain. He has a special interest in spine pain but has been managing patients with a myriad of symptoms and complaints that include pelvic pain, headaches, fibromyalgia, He has been publishing articles in Pain Management Journals over the years and has written and lectured extensively on the subject around the country. Dr. Sherlekar and all the physicians, surgeons, and anesthesiologists at American Spine, place a high value on patient education. Dr. Sherlekar enjoys educating doctors and patients alike about herniated disc, bulging disc, spinal arthritis, foraminal stenosis, and other back and neck problems so that patients can find relief from pain and other debilitating symptoms. Holds a MSW from Fordham University and is license clinical social worker. He possesses 37 years’ experience in managing Mental Health, ACT, Case Management, Supervised Housing, Psychiatric Rehabilitation, Substance Abuse Services. He has offered consultation and training across the US and Canada; has presented at over 30 national and international conferences with respect to behavioral health treatment, safety and rehabilitation. Formerly was a Visiting Instructor at the Rutgers Graduate School of Social Work. Has offered consultation and training for a number of private and public entities accross the US and Canada. He has held a number of postions including: Vice-President of the National Assertive Community Treatment Association, Chair of the NJ PACT Providers Association, Treasurer NJ Psychiatric Rehabilitation Association, Member of State of NJ Mental Health Advisory Board, Co-Chair of the Queen Interfaith Hunger Network, founding Board Menber of the NYC Coalition Aganst Hunger, is a Fellow at the Brookdale Center on Aging of Hunter College CUNY, was awared the 2012 Unsung Hero Award by the Florida Juvenile Justice Association &Florida Alcohol & Drug Abuse Association and has published. Appeared and was one of writers for the SAMSHA ACT Evidence Based Practice Introductory Video. Imran Aslan has completed his Undergraduate Degree at Marmara University/Istanbul-Turkey in 2005, his master FHOOW /Emden-Germany in 2007 and Ph.D. at the University of Atatürk/Erzurum-Turkey in 2014. Moreover, he studied Emergency medical techniciannat health health vocational high School/Batman-Turkey from 1996-2000. He is currently the Assist Prof at Bingöl University. He has published more than 20 papers in reputed journals and attended many national and international conferences. Moreover, he has at organizing and science committee of International Regional Development carried out on October, 2015. He was the Research Assistant at the University of Erzincan, Erzincan-Turkey and Advisor of students from Business Administration Department from 2009-2011 and at Istanbul the Research Assistant Medeniyet University from 2011-2013. He got TUBİTAK PhD scholarship from 2010-2014 by being in top 100 PhD students at Turkey. Dr. Douglas L. Keene is the Vice President of MSH’s Center for Pharmaceutical Management in Arlington, VA. As Vice President, he provides technical leadership to CPM, drives new initiatives, creates new business opportunities, oversees CPM’s management and operations, and works to ensure the success of projects that contribute to MSH’s mission and overall sustainability. He oversees a diverse and international staff of about 700 employees, 85 percent of whom are based in Africa, Asia, Eastern Europe, and Latin and South America. Dr. Keene is a clinical pharmacist with 30 years of experience in public policy and administration and international health development, including more than 15 years working on complex programs and issues related to managing pharmaceuticals in developing countries. Dr. Keene holds a clinical doctorate in pharmacy from the University of Maryland, School of Pharmacy, and a master’s degree in health policy and management from the Johns Hopkins Bloomberg School of Public Health. Neelam is a locum staff specialist in microbiology at the Gold Coast University Hospital, where she is active in laboratory and clinical teaching across the continuum of medical learners. She also is designated as Associate Professor of Pathology at the Bond University Medical School, Gold Coast. Neelam has both domestic and international medical training and work experience including India, UK & Saudi Arabia. She trained as a General Pathologist in India in 1994, then specialised as a fellow in Microbiology & Virology in UK/Australia. Neelam was the Clinical Lead Consultant for Infection Prevention and control at Stockport NHS Foundation Trust hospital, UK and played a key role in developing laboratory and infection control protocols for the UK NHS Influenza Emergency Preparedness in 2010. Neelam’s holds research interest in antimicrobial stewardship, challenges with emerging infections, molecular diagnostic methods. As a medical educator, she has keen interest in exploring evidence-based innovative methods for active learning among medical students. Dr. Anil Mandal is a native of India and a naturalized citizen of the United States . He graduated from Calcutta National Medical College and is a diplomate of the American Board of Internal Medicine. He is the author of many books and articles on research in Diabetes and Kidney Disease. He is a two time Fulbright Scholar to India and Visiting Professor to 24 countries where he has lectured on diabetes, high blood pressure and kidney disease. Dr. Mandal began the Mandal Diabetes Research Foundation for the prevention and treatment of diabetes based on his knowledge that diabetes is the most common cause of kidney failure worldwide. Dr. Mandal’s conviction are that, in the office, patients come first and in the home, children come first. He is dedicated to helping diabetic patients live a good life and not enter dialysis. Dr. MohammadAli Hosseini is Associate Professor of University of Social Welfare and Rehabilitation Sciences (USWRS). BSN, RN, MSN, MS in Medical Education, PhD in Higher Education Administration and Postdoctoral Fellow of Knowledge Transfer in Cardiac Rehabilitation from UTS, Sydney, Australia. Head of Rehabilitation Administration Department of USWRS. He have Published more than 140 articles in Persian and English journal. His research intrest are Medical Education, Cardiac Rehabilitation. Dr. Sukdev Nayak is the Past President of Indian Association of Palliative Care and a member Review Committee, Indian Journal of Palliative care and a Member, Curriculum Development committee in Palliative Medicine, also a member, abstract review Committee, World Cancer Congress, Melbourne, 2014 .He has received 15 fellowships from WHO/UICC etc. to 12 different countries. He is the Life Member of ISA, ISSP, IAPC, IMA, Association of UICC Fellows, Association of British Scholars and National Organization of Tobacco Control. He was the Ex- Director of AHR Cancer Centre. He is presently Prof & Head, Anaesthesiology, AIIMS, Bhubaneswar. Vice-president 2001-2004, President 2004-2007, Past president 2007-2010 of European Association of Cardiothoracic Anaesthesiologist. Honorary memberships of Association Latinoamericana de Anestesiólogos Cardiotorácicos 2005 and European Association of Cardiothoracic Anaesthesiologists 2015. Heart Group of National board of Health (1997-2011); Danish Heart Registry (1997-2011); Advisor to the National Health Insurance system (2007-2012); Speciality advisor in Anaesthesiology to the National board of Health (2012-till ).More than 150 publications mostly in international journals. Co-author of more than 75 free presentations. Received several prizes. Author of book chapters: Anaesthesia and monitoring in cardiothoracic surgery. Anaesthesia for the cardiac patient in non cardiac surgery. Dr Wang Wenru has over twenty years of professional experiences in clinical nursing and university teaching. Her major research interests include cardiovascular nursing and cardiac rehabilitation, developing psychometric measurement tools, chronic disease management, and nursing education. Over the past years, she has been awarded over 10 grants. Her research expertise covers quantitative, qualitative and mix-design methods. Dr Wang has authored two books, eight book chapters and has published over 60 peer-reviewed papers in international refereed journals and over 30 papers in local and regional scientific journals. She has presented her research at over 30 international conferences and has been recognised with several national and international awards for the achievement in her research endeavours. Dr Wang has supervised many honors students, master and doctoral students and has been the internal and external examiner for many PhD students. Her major research interests include cardiovascular nursing and cardiac rehabilitation, developing psychometric measurement tools, chronic disease management, and nursing education. Prof. Dr. Çetin Bektaş has completed his Ph.D. at the University of Afyon Kocatepe in Turkey. He worked for Afyonkocatepe University, Uşak University and Erzincan University in Turkey. He has been working for Tokat Gaziosmanpaşa University for 2 years in Turkey. He is a Business and Organization professor at School of Economics and Administrative Sciences in Tokat-Turkey. He has published 2 books and more than 30 articles in reputed journals. He presents more than 20 papers national and international conferences. He was the president of the 4th World Conference on Business Economics and Management in 2015. His main subjects are; human resource management and organizational behaviour. His main subjects of interest are human resource management and organizational behavior. Mohamed Suhood Mohamed Shiffa Member of the Pharmacopiea Committee of Department of Ayurveda, Ministry of Health and Indigenous Medicine, Government of Sri Lanka, Member of the College and Hospital Board , Member of the Unani Sectional Committee. He is now working as the Head of the Department of Surgery in the Institute of Indigenous Medicine, University of Colombo, Sri Lanka.